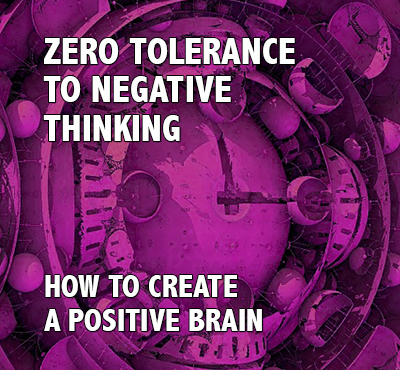 ZERO TOLERANCE TO NEGATIVE THINKING - IF YOU WANT TO HAVE A POSTIVE MIND, NOBODY CAN STOP YOU - POSITIVE THINKING DOCTOR - DAVID J. ABBOTT M.D. 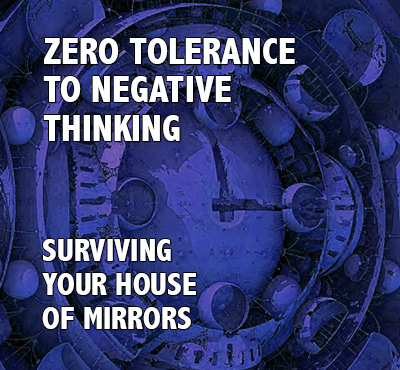 ZERO TOLERANCE TO NEGATIVE THINKING - CLICK IF YOU DARE! 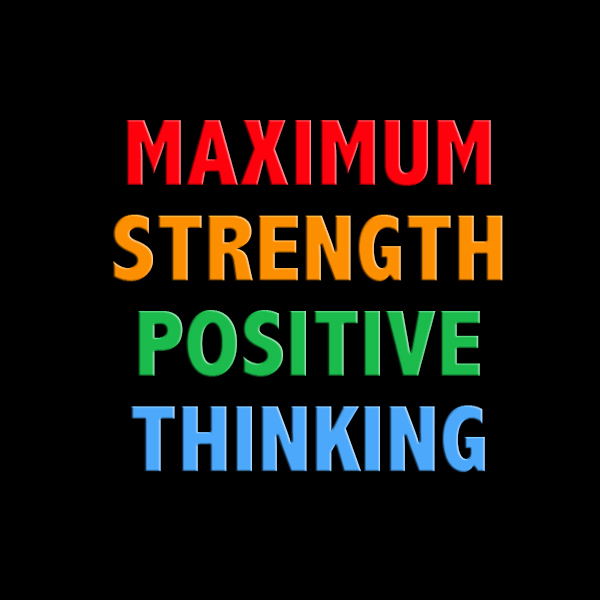 Maximum Strength Positive Thinking tells you what to say when your mind talks to you, and what to say when you talk to your mind. You have a lot of things to discuss with your mind, and Maximum Strength Positive Thinking tells you what you should be talking about. You don't need to spend years searching for empowering ideas that make it possible to live your dreams. 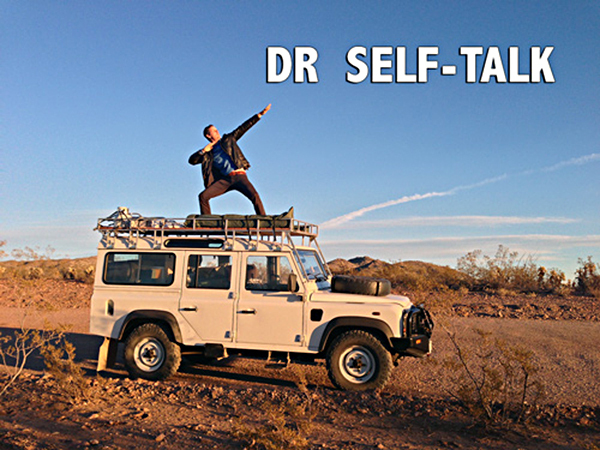 It's already right here in a self-talk format. If you don't like what you hear when your mind talks to you, you can use positive self-talk to change the message and push your inner voice in a positive direction. You can make your life as positive as you want. People are always looking for miracles, but they overlook the obvious. They are a miracle of God's creation and love. Every breath they take and every beat of their heart resonates with the miraculous. From the top of their head to the tip of their toes, they are a miracle. Every time you think that you need a miracle, stand in front of a mirror and take a look at yourself. You are God's greatest miracle. Mark Twain remarked life doesn’t consist so much of facts and events. Instead, it consists mainly of the storm of thoughts blowing endlessly through my mind. I can deal with the facts of life without too much difficulty. It’s the storm of thoughts that causes such a problem. I will die a thousand deaths before my final day of reckoning comes. Most of my problems never happen anywhere except in my mind. People act as if what they talk about doesn't matter. They don't understand that what they say expands into their life. No reasonable person would take a handful of toxic waste and put it into their mind. 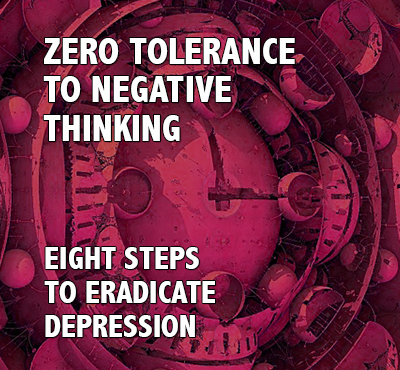 Nevertheless, that's exactly what you do when you talk about negative things. Every time you tell other people how your problems are driving you crazy, you put toxic waste into your mind. You are sowing the seeds of your own destruction. Birds are the only animals that can talk without the words changing their lives. Birds can say anything they want, even four letter words, without the slightest damage to their mind. The reason is simple. Bird's don't know what they are saying. Millions of people talk like they are parrots. They swear like sailors and lace their speech with profanity. These folks would be better off if they were parrots, because at least their destructive words would not get into their mind. There is no reason to quit until God says it's quitting time. 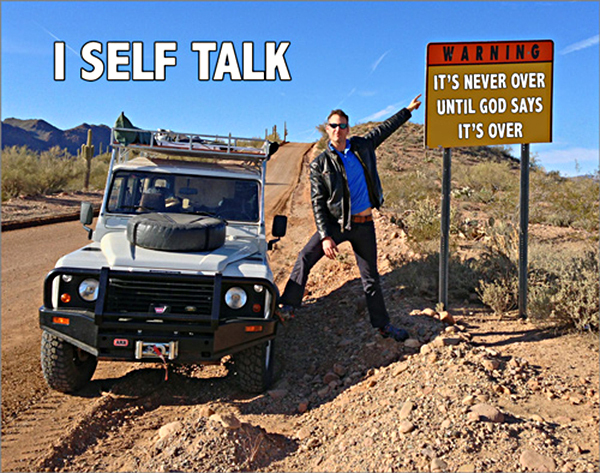 Negative self-talkers tell themselves it's over years before God says it over. 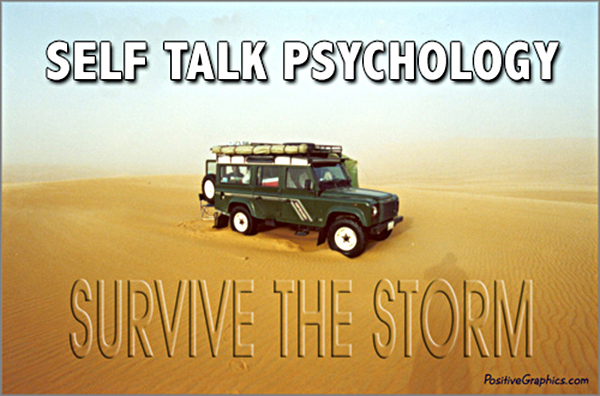 Their self-talk makes them die before their time. If these quitters had persisted for a few more nanoseconds, their dreams would have come true. Their mistake literally cost them their dreams. 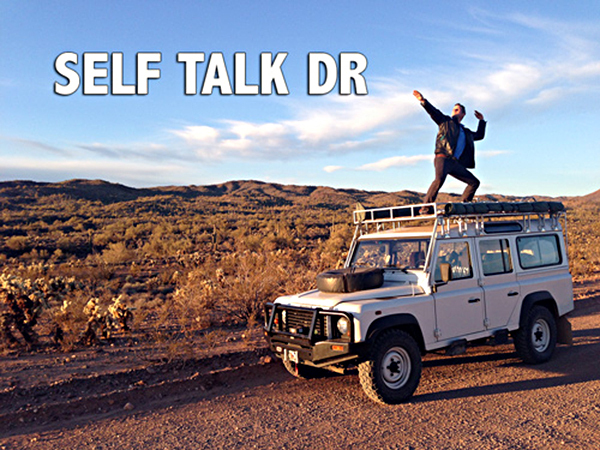 The message is clear, don't let your self-talk destroy your dreams. Don't say it's over until God says it's over. Affirmations are a special form of positive self-talk designed to change the way I feel. The Bible says, "As a man thinks in his heart, so is he." Affirmations are not aimed at my mind. They are primarly aimed at my heart, and they give me the power to change what is in my heart. Affirmations do more than change the way I think; they also change the way I feel. 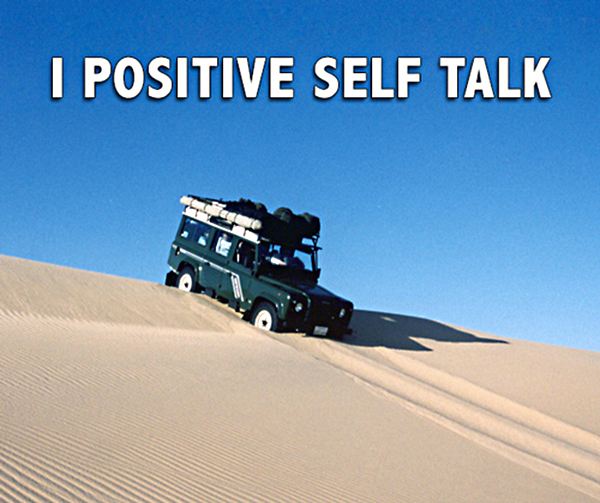 Positive self-talk is not the invention of man. It's the invention of God, and it was given as a gift to mankind so that we could speak our new lives into existence. Joel 3:10 says, Let the weak say, "I am strong." 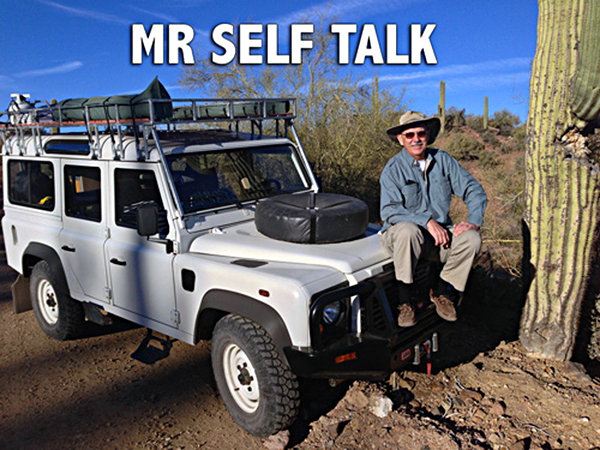 It's very clear that self-talk is not about where you are at the present moment. It's about where you are going with God's help. Amazing things happen when people get in agreement with God about who they are and what they can do with their life. 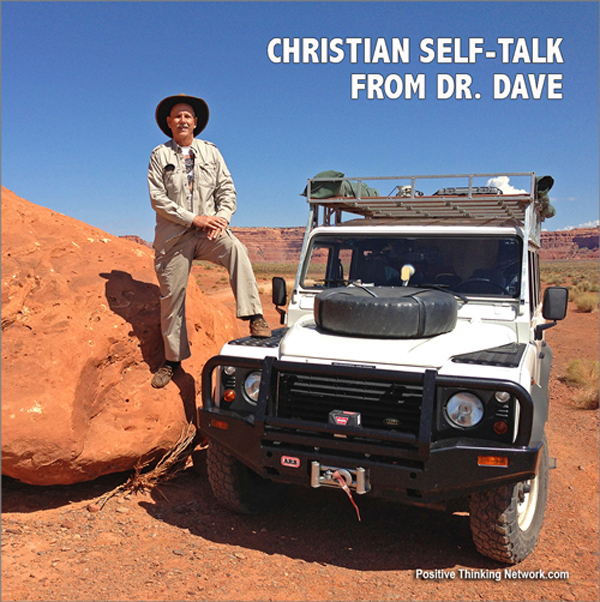 Dr. Dave - the Positive Thinking Doctor has a massive presence on social media. More than 50 facebook pages are updated on a daily basis. There is no easier way to put something positive into your mind every single day.